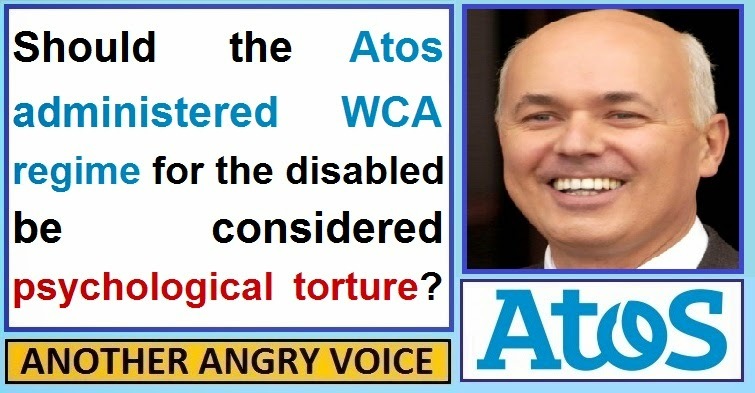 Should the Atos WCA regime be considered psychological torture? 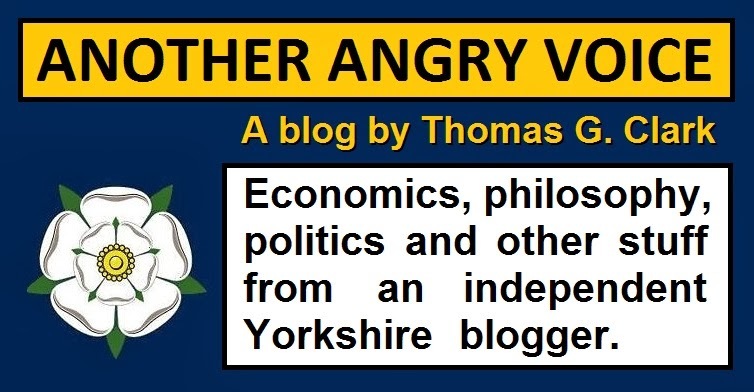 In this article I'd like to briefly consider whether the Atos administered Work Capacity Assessment regime in the United Kingdom should be considered to be a form of psychological torture. First, it is necessary to define my terms. By psychological torture, I mean a form of treatment that that could be considered as a "cruel and unusual punishment" or that that creates states of "learned helplessness, psychological regression or depersonalisation". As everyone should know by now, it doesn't matter what kind of documentary evidence of their illness provided by their GP or medical specialists, if the seriously ill or disabled individual "fails" their 15 odd minute tickbox assessment by Atos, they are stripped of their benefits. It doesn't matter what kind of concrete medical evidence is presented that the individual isn't fit for work, the Atos assessment takes primacy. If the Atos "computer says no" the DWP will revoke benefits and begin pushing the individual into searching for work. If you can't understand how a system which ignores the medical evidence in order to condense the assessment of an individual's disability into a 15-odd minute interview that is likely to be extremely stressful for the individuals concerned, you're quite clearly incapable of empathy. The fact that some 38% of appeals against these rushed Atos assessments are won (rising to above 80% when the individual has professional legal representation) should be indicative that the system is totally flawed, and that countless thousands of genuinely sick and disabled people are being unfairly stripped of their benefits. If this scale of injustice doesn't shock you then perhaps the £66 million a year in court fees shelled out by the taxpayer (not by Atos; the company that actually made the faulty assessments) might get your goat? Whatever the case, I believe the state incorrectly informing so many disabled and seriously ill people that their condition isn't actually as serious as the professional judgement of their doctors, cutting their benefits and pushing them into seeking work on the basis of nothing more than a trivial tickbox assessment, can clearly be considered a form of cruel and unusual punishment. Of course, errors are to be expected in any system, but a failure rate as high as that inflicted on the victims of the WCA is totally unacceptable, especially given the immense psychological stress inflicted on people during the process. Even when individuals manage to pass their WCA assessments, many cases have been recorded of individuals suffering permanent disabilities such as paralysis, cerebral palsy or multiple amputations being compelled to undergo regular Atos assessments in order to determine whether their condition has miraculously got better. One such example highlighted by Tom Pride is the case of a cerebral palsy sufferer that has been instructed to undergo regular six-monthly Atos assessments because her condition is "expected to improve". Again, this is a form of cruel and unusual punishment. When the individual knows that their condition is incurable, when medical science says that their condition is incurable, the expectation that they must repeatedly prove their disability hasn't got better in stressful Atos tickbox assessments every six months is not only cruel, but for the financially minded amongst us, it is an abject waste of time, money and resources too (remember, Atos get a financial bounty from the taxpayer for every assessment they administer). The inaccuracy of the Atos administered WCA is not only clear in cases of physical illness or disability, it is also clear in cases of mental conditions too. The Atos assessment regime discriminates against people with mental health conditions. This isn't just some idle unsubstantiated assertion, in May 2013 a panel of judges found that the assessment procedure unfairly discriminates against people with mental health conditions. Displaying their usual contempt for the courts, Iain Duncan Smith's department refused to accept this legal judgement and flatly refused to halt the 11,000 odd (unfair and discriminatory) assessments conducted every week. The reason behind the legal judgement that this regime is discriminatory is that it is blatantly unfair to expect many people with severe mental health conditions to have the ability to either collect the required evidence of their condition, or to adequately explain how their condition limits their ability to work during the assessment procedure. When it comes to mental health issues, there is another consideration too; the social stigma of mental health problems. Given the history of social stigma, institutionalisation and abuse inflicted on sufferers of mental health conditions throughout history, it is hardly difficult to empathise with people who find it an extremely challenging, and even shameful, to openly discuss their mental health problems. To force people into making such difficult admissions of their mental incapacities in a hastily conducted interview with a complete stranger employed by a profit orientated corporation, under the threat of losing their entitlement to benefits and being forced to look for work that they are incapable of doing, is clearly a form of state administered abuse. One of the worst things about the WCA regime when it comes to mental health conditions is that the tiny majority of "system gamers" milking the benefits system by faking mental illnesses will know precisely the right things to do and say in order to get the desired "unfit for work" outcome, whilst the genuinely mentally ill are much more likely to fail their assessment due to their inability to provide adequate evidence, or their reluctance to even admit the seriousness of their condition (many people with extremely serious mental health conditions refuse to even admit it). Another factor to consider is the way that hastily conducted and badly flawed tickbox assessments by a profit orientated corporation lead to depersonalisation of the individual. It should be reasonably easy to understand how a person may feel victimised and depersonalised when their disability or illness is dismissed as trivial as a consequence of a computer generated tickbox assessment, inputted by a stranger working for faceless corporation, is given absolute primacy over the concrete medical evidence, and their own personal testimonies about the seriousness of their condition. It is well documented that feelings of powerlessness and injustice are major contributory factors in depression. When an individual has been inaccurately and unfairly classified as not as sick/disabled as their medical professionals say they are, it is bound to create feelings of powerlessness, and depression. The financial repercussions of being unfairly stripped of their welfare entitlements is also likely to add a great deal of stress into the mix too. Adding these factors on top of their pre-existing conditions can clearly exacerbate their condition (whether it is a physical condition like heart disease or a mental health condition). In some cases, these factors can even lead to suicidal behavior. Inflicting additional stress and depression upon people that are already suffering severe illnesses or disabilities is, in my view, clearly a form of psychological abuse. Another factor that is often overlooked is the depressive effect of injustice. Imagine the burning sense of injustice felt by one of the countless thousands of genuinely sick or disabled people to have been stripped of their benefits and thrust into destitution on the back of a flawed Atos assessment, when they find out that the boss of the company responsible for the flawed assessment that led directly to their impoverishment, stress and depression, rakes in a mind-boggling £44,000 a week. It is clearly not going to help their sense of well being to know that people are getting extremely rich on the back of their suffering. In my view, I have outlined a reasonable case that the Atos WCA assessment can and should be considered as a form of psychological torture, especially because of the discriminatory nature of the regime and the sheer inaccuracy of the system. The fact that the government refuses to call a halt to these proceedings, even when their own official figures admit that the system is hopelessly inaccurate and the discriminatory nature of the system has been spelled out to them by a panel of judges, is indicative that that they don't give a damn about the psychological suffering of their victims. Perhaps the stress, depression, feelings of powerlessness, senses of injustice and persecution and the suicidal tendencies of their victims can be explained away in the minds of the political establishment using the repulsive concept of "collateral damage"? In my view, the kind of determined indifference to this suffering displayed by Iain Duncan Smith and his cohorts changes everything. It is simply the nature of things that all systems have flaws. However it is the duty of those in authority accept that those flaws exist when they are pointed out, and work to rectify them. This is one of the main responsibilities of power. If however, the authorities refuse to accept that their system is flawed, they deliberately bury damning statistics, they vexatiously appeal legal judgements that their system is discriminatory, they refuse to pause the failing process for ideological reasons, political expediency or financial considerations, and they defend their flawed systems with barrages of rhetoric and misinformation, then their position changes from responsibility for unfortunate failings to cold and calculated indifference to human suffering. Their role changes from unfortunate administrators of a failing system, to deliberate apologists for state sanctioned abuse. Disclaimer: I do not suffer from any debilitating illnesses and I am not disabled. Neither do I have any close acquaintances that are seriously ill or disabled (although I'm not dimwitted enough to imagine that I, and all of the people I hold dear will be fortunate enough never to suffer serious illness or disability). I am sure of one thing though. That is there is an obligation for the morally orientated individual to speak out when they become aware of injustice. And in my view, the calculated indifference of the political establishment to the psychological torture inflicted on many of the most vulnerable members of our society via this flawed and discriminatory assessment regime is one of the greatest injustices being inflicted upon our society. What the hell is Ed Balls playing at?